At Gilmore Services, we're making it easy for you to earn rewards! 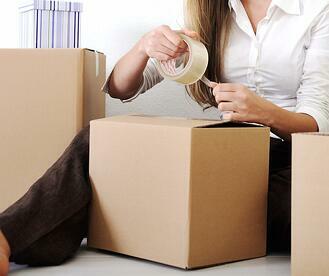 With moving season upon us, many people are gearing up to relocate. Whether it's down the block or across the country, you can earn a reward for referring a new moving customer to us! Ready to get started? If you know someone who would benefit from our moving services, be sure to fill out the form on this page, and we will send them an email letting them know they have been referred. If they decide to book a move with us, you’ll get a $50 VISA Gift Card! They will get 10 free moving boxes from us. If they book a move, they will get an additional 15 boxes! When they book their move with Gilmore Services, we’ll thank you for referring them with a $50 VISA Gift Card. What are you waiting for? Fill out the form to refer a friend or business today! *To be eligible for the Gilmore Services Friends & Family Customer Referral Cash Back offer, the person or business that you refer must book a move that has a minimum value of $600. The $50.00 VISA GIFT Card will be sent to the person who made the referral, on completion of the move.